One of Britain’s favourite chefs, Phil Vickery has teamed up with Squires Kitchen to create a gluten-free cookie mix. Now you can easily bake delicious chocolate chip cookies that are free-from gluten, wheat and dairy! This mix makes 40 cookies which are sensational warm from the oven! 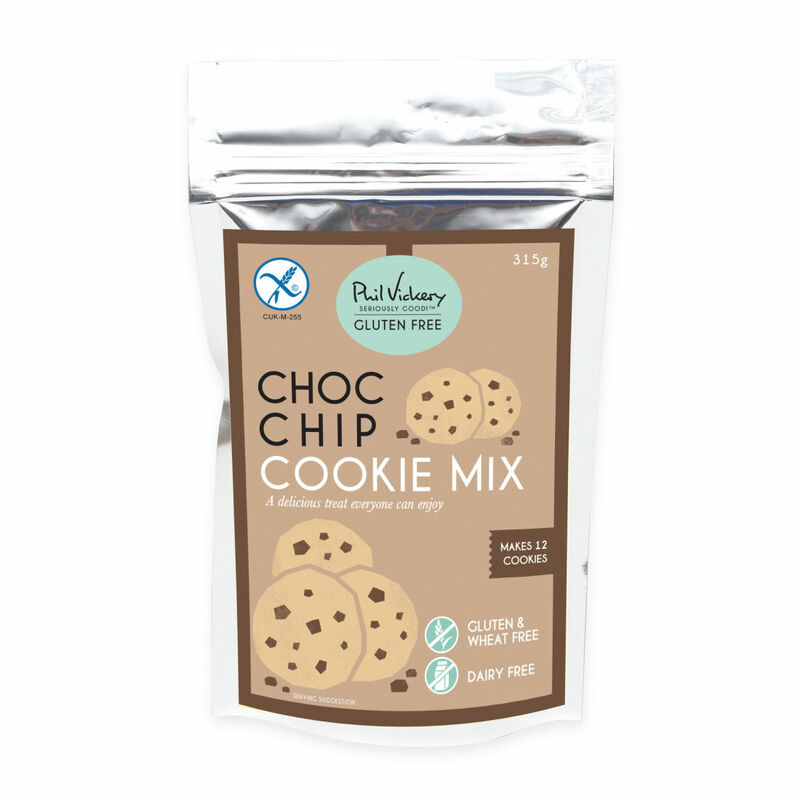 The gluten-free Chocolate Chip Cookie Mix allows you to bake 12 gluten-free soft and chewy cookies made with real chocolate flakes.